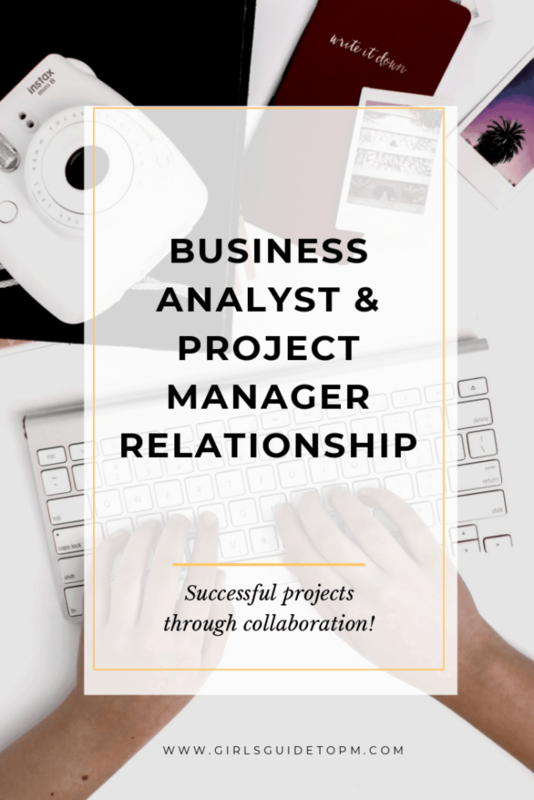 This is a guest post by Laura Brandenburg, describing how to get the best out of the project manager and business analyst relationship. 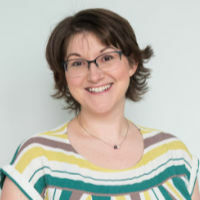 Before I forget, I want to be sure you know about Laura’s Quick Start to Success as a Business Analyst training (it’s free) that’s designed to help you business analysts achieve more success on their projects. We all want more successful projects – projects that deliver their intended business value and are delivered on time and on budget. As a project manager, you work with a variety of different team members that offer up different skill sets and contribute to your project’s success. One of those team members is often a business analyst. But what exactly is the business analyst supposed to do? How can you leverage their skills and competencies to create more successful projects? Business analysis helps ensure your project delivers the intended business value and that business needs, requirements, and processes are well-understood, leading to a more streamlined implementation process. A skillful business analyst can ease a lot of project turmoil and be one of your best partners. And there is a lot you can do as a project manager to help create the environment in which they can do their best work. In this article, we’ll look at 5 specific ways project managers can collaborate with business analysts to help create more successful projects. In order to thoroughly analyze the detailed requirements and help manage scope creep, the business analyst needs to understand the business problem being solved and the over-arching “why” behind the project. Typically this information is documented in the business case or project scope document. A business analyst will naturally have a lot of questions about the project scope. Questions can be frustrating, especially when they come in after the project scope is considered approved, but answering them now will enable the business analyst to help you manage scope creep, prioritize detailed requirements, and generally keep the requirements effort on track. An easier approach is to get the business analyst involved in creating these documents in the first place, as then their questions can be addressed at a more appropriate time. A business analyst can help the business sponsor discover the underlying business problem, consider alternate solutions, and decide on the best approach before making a commitment to a specific project scope. This practice leads to a scope document that’s a steadfast compass for the entire project team and can shortcut scope creep before it even starts. But understanding scope requires that the right stakeholders are involved on the project. Let’s look next at how project managers and business analysts can collaborate when working with stakeholders. Don’t be a go between. Business analysts are responsible for asking questions in order to clarify requirements and the best way to do this is to have direct access to project stakeholders. Direct access enables the business analyst to facilitate discussions that resolve disagreements about the requirements and gain buy-in from multiple stakeholder groups about requirements-related decisions. One of the most common frustrations I hear from business analysts is that they are not able to communicate directly with the sponsor or other high-level stakeholders, which slows them down or requires them to make unnecessary assumptions. As the project manager, you likely have access to these stakeholders. By getting the business analyst access to critical stakeholders for the entire project duration, you will avoid being a go-between, which will save you time and help your project move more smoothly. This being said, you may be justifiably concerned that a business analyst might communicate the wrong thing to a stakeholder and throw a fork in your project. Let’s look at how to proactively address that concern so it does not become an issue. It is often impossible for you to be in every meeting without slowing down the pace of the project. However, you might be concerned about getting blind-sided by new information or that the business analyst might make promises that the project cannot keep. Create an agreement about what information you will share with each other and what decisions you will avoid making before getting the other involved. To avoid these potential issues, establish a communication plan. Create an agreement about what information you will share with each other and what decisions you will avoid making before getting the other involved. Specifically, you may want to ask your business analyst to be your eyes and ears during requirements meetings, bringing new issues and risks to your attention so they can be managed as part of the overall project. From your perspective, be sure to inform the business analyst about new change requests, changing business needs, or budget and schedule changes that impact the business analysis plan or project scope so they are not surprised and thrown off-track. Better yet, involve the team’s business analyst directly in these discussions so they can ask clarifying questions and quickly get to work incorporating the changes into the requirements. When a skilled business analyst evaluates a project context, they will have valuable ideas about what elicitation techniques will obtain the best information most efficiently, what types of deliverables will communicate critical requirements information effectively, and how to sequence business analysis activities to get the most clarity in the least amount of time. However, I know many project managers experience frustrations with business analysts who find it difficult to put an actionable schedule together or meet milestone dates. You can help the business analyst on the team by clarifying elements of the project context that are most likely to impact the business analysis plan. The project’s tolerance for risk, as this could impact how thorough the requirements analysis effort must be or whether time-consuming tasks like requirements traceability are necessary. The overall structure of the project team and how the business analyst role fits within it, which will help determine what is required, whether it be business process models, functional requirements, non-functional requirements, user acceptance testing, etc. Whether additional resources, such as increased stakeholder involvement (which we’ll talk about next) or supporting business analysts are available to help speed up the requirements effort. With the right information, a skilled business analyst will be able to craft a plan that ensures the business analysis effort is as efficient and effective as possible, while also delivering a level of quality that makes certain the implementation team is working from clear and correct requirements. One of the reasons it can be difficult for business analysts to commit to a project schedule is that they are dependent on the active involvement of the right stakeholders at the right time with the right information. This challenge is multiplied if they do not have direct stakeholder access or if they are not allowed to schedule their own requirements meetings and drive the requirements process. When a business analyst does not have actively involved stakeholders, either the requirements process slows down or requirements are validated without the right people involved. The former leads to a delayed project schedule. The latter leads to wrong or missing requirements that get discovered late in the implementation cycle. As a project manager you can help break down these barriers by managing business stakeholders as project resources. When stakeholders fail to show up to meetings or provide necessary information, you can also help the business analyst articulate how the slowing requirements effort impacts the project as a whole, adjust project milestones, and escalate issues to management. In this article, we’ve looked at 5 critical project areas – scope, stakeholder analysis, communication, plans, and stakeholder involvement – and how project managers can help business analysts be more effective. With a solid understanding of the scope and other critical project information, access to the right stakeholders who are actively engaged, and a well-thought-out plan, the business analysis effort will be efficient, effective, and pave the way for a smoother implementation process. There will be fewer missed requirements and an increased likelihood that the implementation effort will deliver lasting value by solving a real business problem. Earn the respect you deserve and get the insider details on how to get into a business analyst career quickly, with Laura’s free Quick Start to Success training. You’ll learn how to avoid the most common pitfalls faced by new business analysts and the step-by-step business analysis process to create predictable, consistent project success. 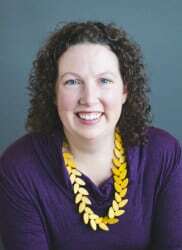 About the Author: Laura Brandenburg is the author of How to Start a Business Analyst Career, a comprehensive guidebook to apply business analyst techniques, select requirements training, and explore job roles leading to a lucrative technology career. 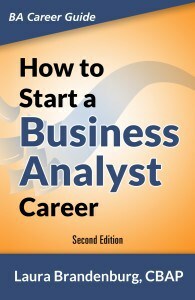 She also offers a business analyst career planning course (it’s free) to help you start your business analyst career.